Let’s face it, while a traditional ceremony is almost always a little emotional considering we tend to have some type of connection with at least one half of the couple, we’ve also all seen our share of them. That’s why some guests may tune out at certain points. But they can’t tune out if they’re actively participating, and that’s not something you typically see at a wedding ceremony either, which is why it can make for such an unforgettable experience. So, how can you involve your guests in your ceremony? Well, it could be as simple as giving them little signs to hold up after you say your “I do’s,” or you could do a collective vow, a blessing of the rings or a candle ceremony, just to name a few ideas. For more, check out this post from The Spruce, Making Wedding Guests a Meaningful Part of the Ceremony. Make yours a walk to remember. Sure, seeing a bride being walked down the aisle by her father, father figure, brother, etc., is always a sight to see, but that doesn’t mean you can’t even consider mixing it up a bit. How? Well, you could throw on some fun music and make it more of a dance down the aisle, for instance. You could also meet your partner halfway down the aisle, make the trek together from the start or even do a solo stroll. Another option is to mix up the aisles themselves. For example, you could enter from different sides or even both enter via your own aisles. You could also simply get a little more creative with your aisle decor, but the point is, while a traditional walk down the aisle tends to speak for itself, that doesn’t mean that you can’t put your own spin on it to make it more you. We’ve all probably seen the twist on traditional ceremony seating involving mixing up the two sides and that can be great, but make no mistake, that’s far from the only way to break from the traditional seating arrangement and do your own thing. For instance, you could go with a spiral seating design or one that allows the guests to fully encompass you and your partner at the altar. Another option is to go with an angled arrangement so that all your guests are tilted toward you. You even be able to try a sunken seating arrangement with your guests seated slightly lower than the altar, depending on your venue, but you get the idea. For a few more, check out this post from The Knot, 7 Seriously Creative Ceremony Seating Ideas. The bottom line is that your ceremony, just like any other portion of your wedding day, can be far more personal and original than you may think. It just takes some careful thought. We hope this post helps to get you pointed in the right direction. Good luck! 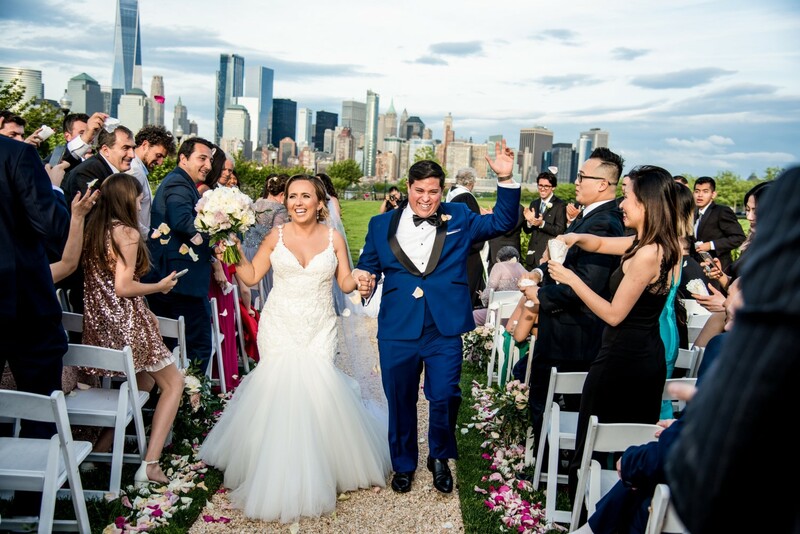 About Us: Live Picture Studios is composed of a team of highly skilled editors, wedding photographers, and wedding videographers of NYC who’ve been telling cinematic love stories for years. At LPS, we always create to inspire. Check out our photo gallery and video gallery to see some examples.